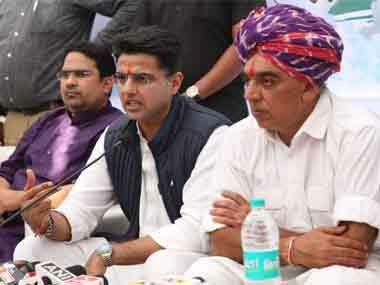 Jaipur: Rebels and turncoats have given the dynamics of Rajasthan Assembly elections an interesting twist. 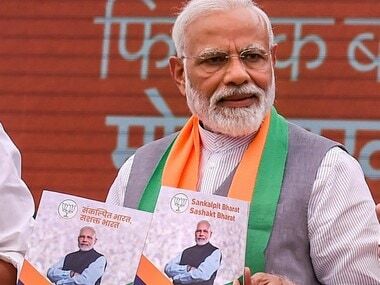 Eleven candidates, who recently switched parties, have been given tickets by both the BJP and the Congress for the upcoming elections. Congress has given tickets to four turncoat candidates, while BJP has embraced seven. Harish Chandra Meena, Manvendra Singh and Habibur Rahman left the BJP and joined Congress recently. Manvendra Singh, son of former BJP Union minister Jaswant Singh and a sitting MLA from Sheo Assembly constituency in Barmer, has been given a ticket from Jhalrapatan and is fighting against Vasundhara Raje, who is also the BJP’s chief ministerial candidate. Jhalrapatan is going to be a tough fight as both, Singh and Raje are Rajput leaders, and the Rajput community is seen as a significant vote bank in Rajasthan. Additionally, Raje serves as the incumbent for this seat, having won during the last three election cycles. According to reports, Singh has accepted that defeating Raje is an ‘uphill’ task citing his inexperience against Raje's 30 victorious years in the constituency. Meanwhile, Harish Chandra Meena, an MP from Dausa, also joined Congress in early November, giving a setback to BJP. Meena, in the 2014 Lok Sabha Elections, had fought against and defeated his brother, Namo Narain Meena. He holds a significant influence over the Meena tribe and will be supporting Murari Lal Meena, who has been given the Congress ticket from Dausa. Meena had won the Dausa seat in 2008 on a BSP ticket but lost it in 2013 as a Congress candidate. He was among the six BSP MLAs who had joined Congress in 2009 after supporting the party to form the government in the state post-2008 Assembly elections. Murari Lal Meena stands against sitting BJP MLA Shankar Lal Sharma, who is a Brahmin by caste in Dausa, a region with a high Meena-Gurjar equation. Similarly, Habibur Rahman from Nagaur also left BJP the same day as Meena, after being denied a ticket, and joined the Congress. This served as another major setback for the right-wing party. Rahman is contesting against Mohan Ram Chaudhary, a Jat by caste, but popular as an RSS loyalist. “Nagaur has a Muslim and Jat influence, and Rahman is a popular face among both communities. Chaudhary has a stronghold in the RSS community, which does not hold a significant influence here,” said Suresh Alakhpura, a Nagaur-based student of politics. The fourth Congress turncoat candidate is Sona Devi Bawri from Raisinghnagar. Bawri, who was a part of National Unionist Zamindara Party (NUZP), had defeated BJP’s Balveer Singh Luthra in 2013, and they both will go head-to-head this year as well. The BJP turncoat candidates have also been fielded strategically across the state. Abhinesh Maharshi who had moved to BSP from Congress joined the BJP early November and has been fielded from Ratangarh in Churu district. Maharshi had contested last Lok Sabha elections from Churu on a BSP ticket but lost to BJP's Rahul Kaswan by a margin of nearly three lakh votes. His counterpart, Congress’ Bhanwarlal Sharma, has a political career of 30 years and has won the Sardarshahar seat in Churu six times. Another interesting battle will take place for the Nathdwara seat, between Mahesh Pratap Singh, a former Congress leader who joined the BJP last month, and senior opposition leader CP Joshi. Joshi, who has contested six elections from Nathdwara and won four times, including once in the Lok Sabha polls, was recently caught in a controversy over his statement categorising Brahmins as the sole learned community about Hinduism. Furthermore, according to a report by The Times of India, a Congress leader alleged that Joshi is now depending on his old confidantes and is ignoring current party workers, which might cost him. The remaining defectors from Congress include Ashok Sharma from Rajakhera, Ramkishor Saini from Bandikui, Mamta Sharma from Pipalda, Kalpna Singh from Ladpura, and Rajendra Bhamu from Jhunjhunu. The clash between Ashok Sharma, a recent addition to BJP, and Congress’s Rohit Bohra in Rajakhera is expected to be an exciting one. 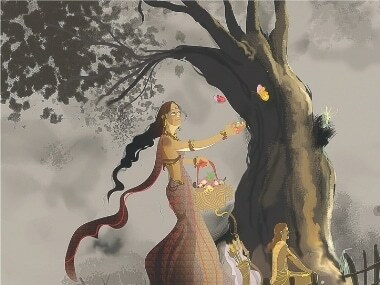 Brahmins are a significant vote bank in Rajasthan and hold a majority in Rajkhera. This gives an upper hand to Sharma, who is a Brahmin. However, Bohra is Pradhyumn Singh’s son, who has won Rajakhera Assembly seat eight times in the past and still holds a great influence in the area. MLA Ramkishor Saini, who left Congress and joined BJP recently, is known to have a strong hold over the Saini community. 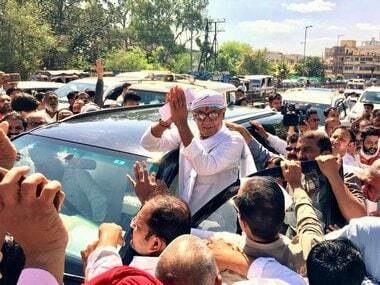 He has been given a ticket for Bandikui seat in Dausa, a region where the Saini community is in majority. His competition, GR Khatana, contested from the seat in 2008 from Congress and had lost; he has been given a ticket after 10 years. With regard to caste-based voting, Bohra is of the opinion that this could backfire on parties. Citing Harish Chandra Meena as an example, he said the politician won in the Lok Sabha elections by joining BJP “at the last minute”, and has now shifted to Congress just before the state Assembly elections and received a ticket. “Turncoats may not have it easy. Especially those who have gone to BJP as there is anti-incumbency wave,” he further explained.